Salvinia weevil works well in most conditions. 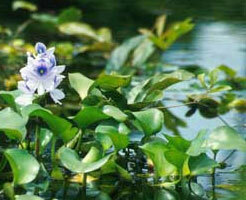 They are foliage eaters and have been successful in limiting the spread and control of infestation. Water Hyacinth weevil is similar in effect to the above agent. Alligator weed flea beetle is useful in limiting growth and seeding of plant by eating foliage. 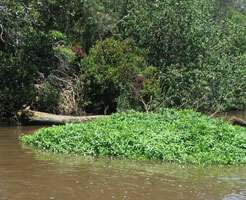 All these water weeds multiply very rapidly. 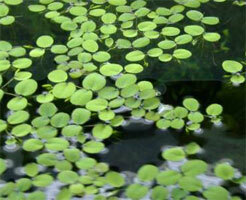 Salvinia can double it's mass every 2 days in ideal conditions. If 1 piece is missed off it goes again so biocontrol is very helpful in a control program as it can pick up missed plants.